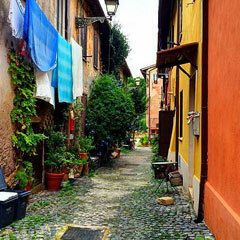 This 3-hour walking tour is a charming stroll through the romantic streets of the Eternal City. Don’t miss the chance to see the most important monuments, fountains and squares at night, accompanied by an expert, entertaining tour guide. Your itinerary includes the highlights of the Eternal City, such as the Pantheon, the beautiful Navona Square and the not-to-be-missed Trevi Fountain. 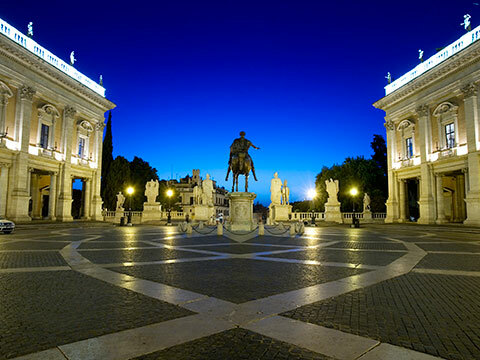 Be amazed by the view you’ll get from Capitoline Hill and the Piazza del Campidoglio designed by Michelangelo. This tour ends in Piazza Venezia at the famous Altar of the Homeland. 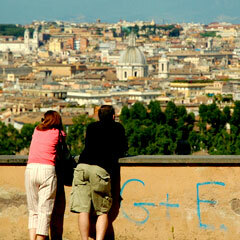 Get a one-of-a-kind view of Rome from the scenic park of Gianicolo hill. 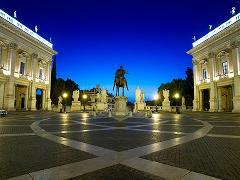 Stroll among statues, fountains like the famous Fontanone and even a lighthouse while overlooking the Eternal City. This hill is known for being one of the best spots in Rome for photos as well as on of the most romantic places in Rome! An extra fee will apply if transportation is requested. My daugther and I went on a Rome by night tour, really really worth it! Sara was absolutelty fantastic, charming, funny and an amazing tour guide. Seeing Rome at night made us discover another face of this beautiful city! I am John Smith and I am planning a romantic weekend with my girlfriend in Rome and I am looking to create the right atmosphere for a marriage proposal! 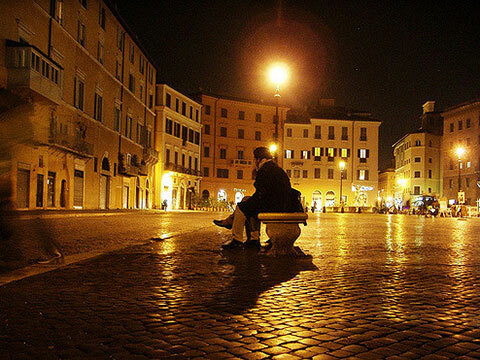 Your tour Rome by Night tour looks perfect and I was hoping you advise which stop along this might be best for me to go down on one knee and pop the question. Thank you in advance for your help!! Thanks for your adorable request. Rome is one of the most romantic cities in the world and your idea is fantastic! 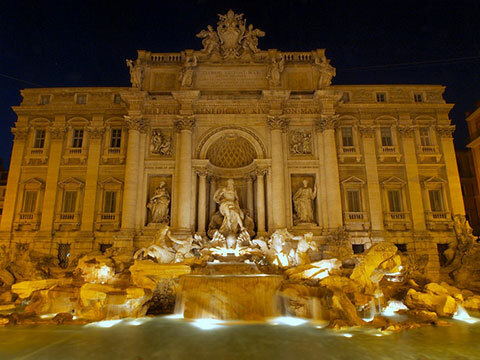 During the tour, a great place to ask your girlfriend 'the big question' is certainly Trevi Fountain. This monument, illuminated by soft, warm lights at night create a magic atmosphere, and after dark it is much less crowded than during the day. If you prefer to have something even more special and intimate at the same time, the best of best is the Terrace above Gianicolo hill. 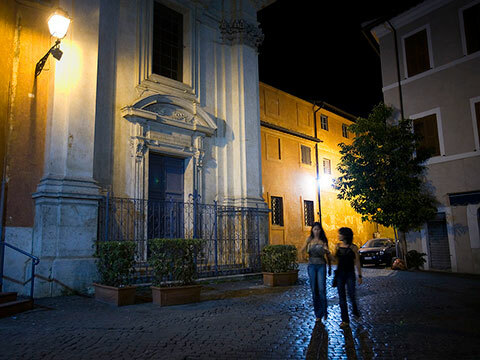 My advice is to include it as an add-on at the end of the Rome by Night tour, possibly arriving via taxi or private driver for comfort and style for this special occasion! If you like, your guide would be happy to take pictures of you and your future wife at that special moment. Let us know, and we are here to help you make this happen! Hi Eyes of Rome! 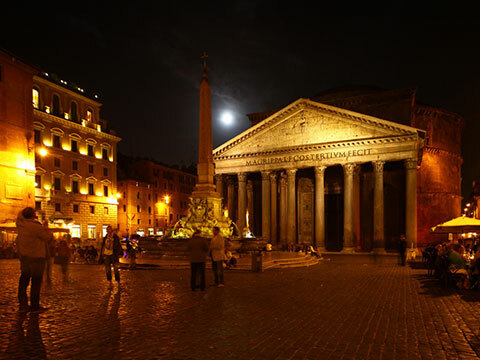 My wife asked me to post this on your website: We loved your Rome by Night tour! What can I say- The Pantheon, Trevi Fountain, The Spanish Steps and Piazza Navona…all with far less people than during the day, not to mention a very cozy and charming atmosphere. It was a magical night with our guide Serena, who showed us these amazing spots in downtown Rome. We especially appreciated her pointing out a few good ‘ristoranti’ and ‘gelaterie’ for us to try during our stay, and she even gave us a few coins to throw into Trevi Fountain (so we FOR SURE could come back and see more of Rome!) I’d like to thank Serena our guide, and Mara in the office for setting this up for us. 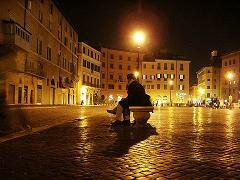 Rome by night is certainly a great way to see the sites without the crowds and work up an appetite! Hi Eyes! 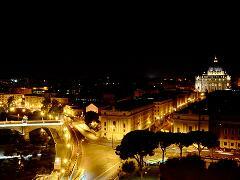 Just came to mention that we really loved the Rome by Night tour. We got to see some amazing sights such as the Pantheon, Trevi Fountain (lit up at night is beautiful), the Spanish Steps and Piazza Navona (what great nightlife all around!) As a small addition we asked our guide and driver to take us up to one of the best views of Rome by night...they recommended the Gianicolo hill, which I highly recommend day or night for a romantic spot for pictures and/or kisses! Thank you Eyes of Rome! 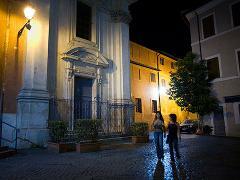 Hello, my partner and I would love a tour by night of Rome. 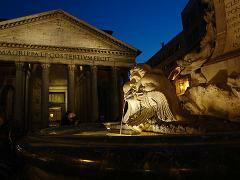 However, we have already been in Rome and saw the sites included in your night tour. Can we customise the tour? Any suggestions on what we can see at night on this tour? Tour Start Time: You can select your favorite starting time. We recommend 06:00PM.